Downtown residential and commercial investment in Detroit is on an upswing. Mortgage lending is hampered by a lack of comps, but credit unions are participating in the market in multiple ways. After decades of epic decline and decay, Detroit is undergoing a dramatic, if uneven, resurgence led by Quicken Loans, which overtook Wells Fargo this year as the largest mortgage lender in America and now has 17,000 people working in the city. There were no credit unions in that article, but there are plenty in and around Detroit, and member-owned financial cooperatives are each taking their own path back downtown — funding rehab, financing businesses, or advancing one mortgage at a time. Sometimes that mortgage is to one of their own. Eric Esser is the chief mortgage lending officer for Community Financial Credit Union ($877.1M, Plymouth, MI) and the holder of the lone residential mortgage the suburban Detroit credit union made in the city itself last year. 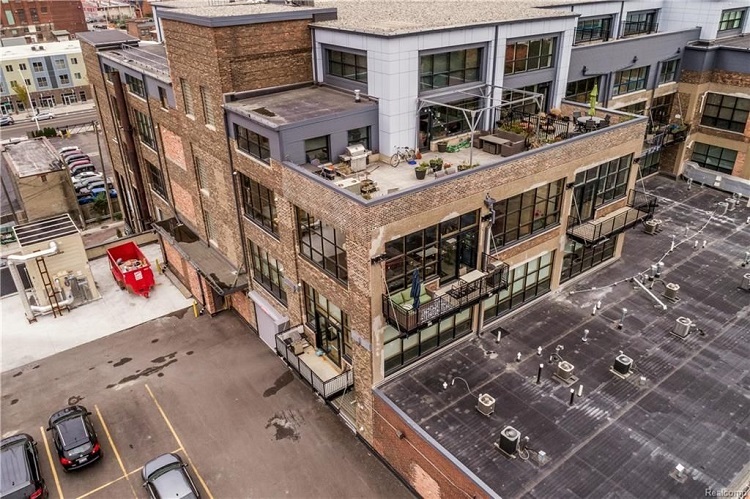 He bought a condo in the Willys Overland Lofts building, one of the many abandoned or otherwise neglected structures of its kind that have been renovated into trendy and/or upscale living spaces in the hot Midtown area. Community Financial’s Eric Esser bought a condo in this building, the Willys Overland Lofts, in Detroit’s Midtown area. No more. Community Financial financed the construction of the new building itself and, so far, one of the buyers of an individual condo in it. The suburban Detroit credit union also is helping finance a restaurant on the first floor. The Selden builder had an existing relationship with a commercial lender at the credit union. The credit union itself doesn’t have a physical presence in the city but isn’t ruling it out in the future. However, its short-term focus will remain in the western suburbs where it’s based and “where everyone knows our name,” Johnson says. Meanwhile, Esser says cash-heavy individual and institutional investors should create momentum for that kind of progress to be made in other Motor City neighborhoods. Community Financial Credit Union financed the construction of The Selden, a 12-unit condo building that also offers first-floor retail in the Midtown section of Detroit. The program is funded by block grant money and Bank of America and administered by the Local Initiative Support Corp., a nationwide CDFI. One Detroit is one of two lenders that underwrite and close the loans. Hank Hubbard, the credit union’s CEO, says his shop has reviewed more than one thousand of the loan applications and underwritten 205 of them. The loans, which the city owns, average approximately $17,000 apiece. One Detroit takes an administrative fee. “They’re not on our books,” Hubbard says. The New York Times article says mortgage lending in an area that is coming back from the dead is not for the faint of heart. The sentiment rings true with Hubbard. According to Hubbard, lenders are trying different ways to adapt, with some urging from City Hall. Loan to value is difficult to compute because you can’t assign values to homes where there has been little turnover. You can’t get decent comps. Plus, being just one block away makes all the difference in the world. For other credit unions, moving into the Detroit market means following their members. That includes University of Michigan Credit Union ($861.5M, Ann Arbor, MI), which plans to open its first branch in the Motor City in late 2019 or early 2020. The new facility will be on Woodward Avenue in the heart of the city and near the University of Michigan Detroit Center, the school’s growing community outreach and academic center in the heart of the city’s Cultural Center neighborhood. UMCU already makes consumer and mortgage loans in and around the city. It expects to increase this activity as more of the workforce educated at the 44,000-student campus in Ann Arbor, approximately 40 miles to the west, moves into the city for professional opportunity and revitalized urban lifestyle. 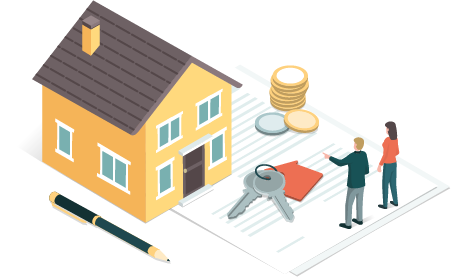 Join Callahan & Associates for a dive into the U.S. mortgage market where you will learn new credit union data trends and insights, what might impact your lending strategy, and why you need to leverage HMDA data. So is the credit union affiliated with the Wolverines’ biggest in-state rival. Michigan State University Federal Credit Union ($4.0B, East Lansing, MI) already is in the metro Detroit area through its branded presence as Oakland University Credit Union at that 20,000-student campus in the city’s northern suburbs. A growing number of graduates from MSU — a campus of 50,000 students in East Lansing — also are heading into the big city. Although still primarily SEG-based, the nation’s largest university-affiliated credit union has picked up through merger a five-county state charter that includes Wayne County, where Detroit is located. UMCU and MSUFCU both already make mortgage and other loans to their members in and around Detroit, and neither said they have had particular underwriting issues there. This is a miracle city, a city on the rise. It’s going be like the lights of New York and Chicago again, sooner than you think..
Detroit might prove to be a challenging market, but many credit unions still find it worth exploring. Lake Michigan Credit Union ($5.5B, Grand Rapids, MI), one of the state’s largest mortgage lenders, is among those doing that, expanding from its west Michigan base with new offices in four communities in counties surrounding the Detroit metro area. “We’re a pretty aggressive Michigan lender, especially in new purchase construction, and we just beat Quicken to be the No. 1 unit lender in the state for new purchase construction,” says Jason Sasena, senior vice president of national mortgage production at LMCU. According to Sasena, he bought his first house as a 19-year-old college student for $20,000 in the city’s Warrendale section.